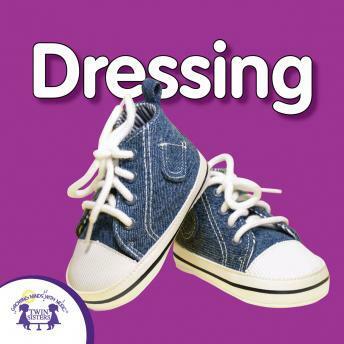 Make dressing time much more fun with this set of 12 fun learning and movement songs! This album teaches kids exactly how to get dressed and how to reference tags and other things on clothing so they put it on the right way! 2. What Color Should I Wear? 4. I Can Do It! 8. What Color Are You Wearing? 10. Can You Swing Your Arms?